If you have been injured in a taxi cab accident, our team of attorneys are here to help. Taxi cabs can be an extremely convenient way of getting around, both in the downtown areas of big cities as well as providing transportation to and from airports. However, taxis are just as prone as any other vehicle to getting in accidents that lead to injury. Taxi drivers, while skilled professionals, have a reputation for recklessness. Unfortunately, this reputation is not entirely undeserved. Taxi drivers get paid by distance, not time, so they have an incentive to drive as fast as possible… and sometimes this incentive can lead to dangerous driving. 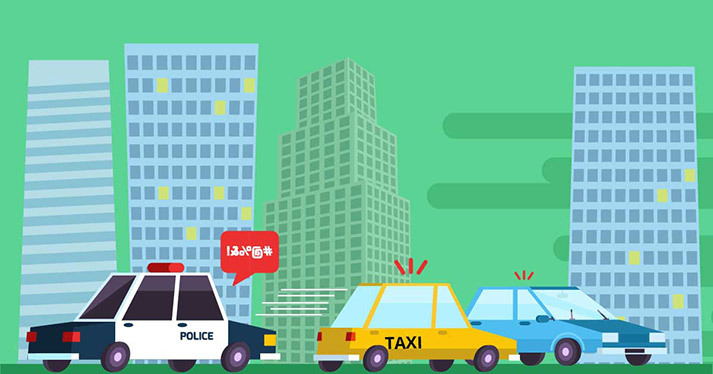 In crowded big city areas and airports, where taxi cabs can usually be found, there are also all sorts of dangers, including large crowds of pedestrians, which may increase the risk of an accident. 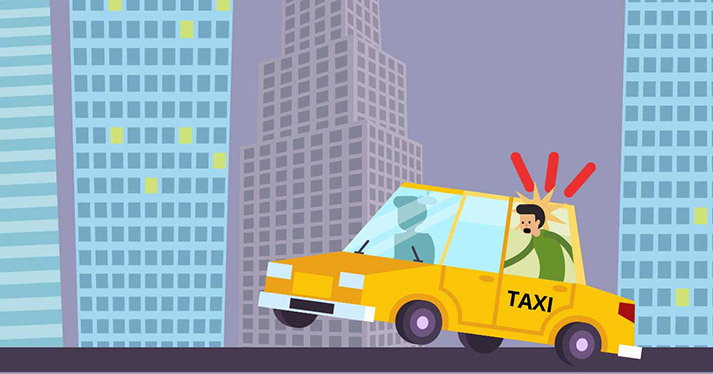 The most common type of taxi cab is the ordinary cab, typically colored yellow or with a checkerboard pattern, but there are many other types of vehicles which are similar to taxi cabs and serve the same basic function, including limousines, livery cabs, and town cars. Accidents, of course, can happen in any of these. In recent years, Uber (and other ridesharing services such as Lyft) have become more and more common. However, rideshare accidents are treated somewhat differently under the law from ordinary taxi accidents, as we’ve explained in detail elsewhere. You may be a taxi passenger yourself, or you may be a third party (such as a driver, passenger, pedestrian, or cyclist) who was hit by a taxi. Either way, you are entitled to compensation if the accident was brought about as a result of another party’s negligence. For the most part, taxi cab accidents take the same forms as any other type of car accident. This is to be expected: taxis play the same basic role on the road as ordinary cars, even if they serve a somewhat different practical purpose. As a result, all of the common types of car accidents (rear end, left turn, and so forth) will happen to taxi cabs at about the same rate. However, there are a few dangers which are unique to taxi cabs. For one thing, they typically have a partition between the front and back seats, and in an accident, passengers can hit their heads against this partition. As a result, many of the injuries that occur in taxi cab accidents involve the face and head. These, of course, can be very serious injuries for a passenger to incur. As with other types of car accidents, driver error is by far the most common cause of a taxicab accident. However, in a minority of cases, other factors may cause or contribute to the accident, including poor roadway or vehicle design or maintenance. The cause of the accident has an impact on who may be sued. For instance, the car manufacturer can be sued for a poorly designed car, or a local government agency can be sued for not properly designing or maintaining the roadway. 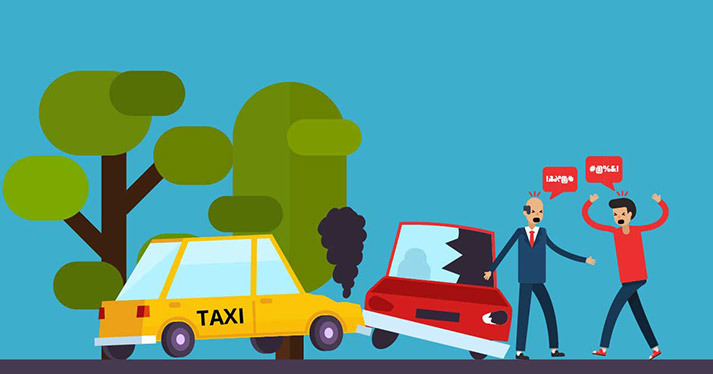 Taxi drivers will, however, be responsible for maintaining their vehicle in good working order, and if they fail to do this, they will be liable for any accidents that may arise as a result of their negligence. What Is The Classification Of a Taxi Under the Law? If you were in a taxicab accident, then your legal standing may vary depending on whether you were a passenger or a third party. This is because taxis are recognized as common carriers. Under the law, a common carrier is any conveyance that holds itself out to the public as willing to carry for a set fee any passenger who presents himself to the taxi driver. Common carriers are differentiated from private carriers, which include ordinary automobile drivers and others who do not hold their vehicle out to the public. Aside from taxi cabs, other common carriers include airplanes, trains, and buses. Unlike these conveyances, taxis do not have a set schedule or destinations, but they are nonetheless considered common carriers because they meet the basic condition of holding themselves out to the public for transportation. This makes an important difference, legally speaking. Under most circumstances, private carriers are only required to provide ordinary care for their passengers and fellow road occupants. This means that they must take all the same precautions that a reasonably prudent driver would, under the same circumstances. Common carriers such as taxi owners, however, are required to go above and beyond this, and demonstrate utmost care for their passengers. This means that they must do everything within their power to ensure that the taxi cab is safe, and if they demonstrate even the slightest degree of negligence, they will be held liable. It is important to note, however, that the duty of utmost care only applies to passengers within the taxi itself. Common carriers are only required to show ordinary care to other road users outside the taxi, such as pedestrians or third party drivers. This means that, if you were involved in an accident with a taxi, you will not have the advantage that taxi passengers would, as someone entitled to the duty of utmost care. However, you will not necessarily be denied damages, because you will still be entitled to the duty of ordinary care, which is a fairly strong legal duty in and of itself. If you were a passenger who was injured in a taxi cab accident, then you cannot be at fault (unless you actively did something to stop the taxi driver from driving safely). This means that you will be eligible to collect damages from some source, whether from the taxi driver, from the driver of the other car which hit you (if it was a multi-vehicle accident), or from some combination of the two if both drivers shared fault for the accident. If your driver was 100% at fault, then their insurance will have to pay you 100% of the damage; likewise for the other party’s insurance. However, if your driver was 60% at fault and another driver was 40% at fault, then you will be able to get 60% of the damages from your driver, and the remaining 40% from the other driver. The percentages, of course, will vary depending on the circumstances of your case, but you will still be eligible to collect the full amount of damages for your injuries. However, this doesn’t guarantee a smooth outcome. Insurance adjusters will fight to pay you as little as possible, so you will still have a battle on your hands. If you were a driver (or other third party) who was involved in an accident with a taxi cab driver, your ability to collect damages will be even less assured, because you may have been partially or completely at fault for the accident. This does not, however, mean that you cannot hold taxi drivers responsible for their negligence. If the taxi driver was at fault, then you have every right to file a claim for damages, and sue if you do not receive them, just as you would in any other accident. Filing a claim against a taxi driver’s insurance is similar to filing a claim against any other driver’s insurance company. However, the issue will be somewhat complicated based on whether the taxi driver owned their taxi, or whether it was owned by a larger taxi company. Taxi cabs, in general, are also required to have higher insurance limits than most passenger cars. If you have been in an accident with a taxi cab, this may work in your favor. What Should You Do After a Taxi Cab Accident? If you find yourself in a taxi cab accident, then you should take all of the same steps that you would take after any other car accident. These include getting the contact info of the taxi driver and any other drivers or witnesses, taking pictures of the accident, and (if you were a driver) exchanging insurance information with all other relevant parties and providing aid to the injured. The next thing you should do is seek immediate medical attention. This is extremely important, both for medical and legal reasons. 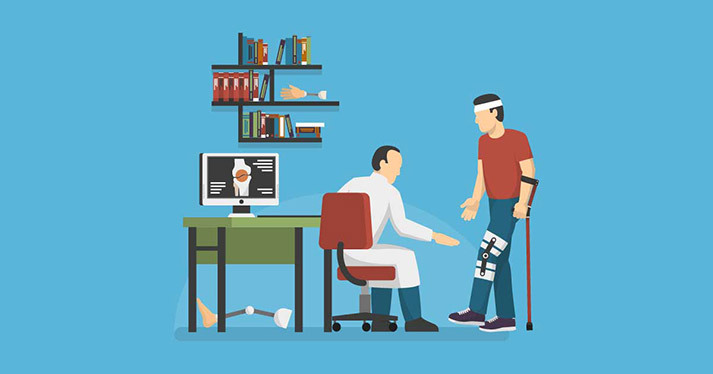 Even if you were not badly hurt, it is important to get a good assessment of all your injuries as soon as possible… and some injuries are more serious than they may seem at first. After the accident, it is important to talk to a personal injury attorney who has experience in dealing with taxi cab accidents. Handling a taxi cab accident injury claim can be extremely hard, and the insurance companies will not cut you any breaks. If you are healing from any injuries, this stress can negatively impact your healing process. TorkLaw’s team of auto accident attorneys have handled more than our share of taxi cab accidents over the course of our practice, and we know what it takes to get taxi cab accident victims the damages they deserve. Don’t assume that you aren’t entitled to anything, just because you were riding in a cab rather than a car! There is a system in place for you to get what you deserve.